With the right kind of domiciliary care, you or your relative in care can maintain a happy and independent lifestyle in the comfort of your home. NW Care offers a broad range of services with tailored plans to provide just the right level of care that you require. As one of Northern Ireland’s leading home care providers, you can rely on us to deliver the highest quality of service. Are you finding it difficult to do groceries and prepare your meals? Are you just looking for companionship? Are you searching for live-in care for yourself, an elderly parent or sick child? Do you need a break from caring for an elderly, sick or disabled loved one? Do you need help with your daily personal care routine? Do you need post-operative care? Do you need some support while you’re going on a holiday? We have a comprehensive meal preparation package that will assist you with everything, from weekly grocery shopping to cooking your food. A North West home care provider will even organise your food supplies and ensure your fridge is stocked so that you don’t have to worry about your next meal. Need someone to talk to or accompany you to hospital visits, doctor appointments or social commitments. We have staff who can spend time chatting with you and taking you around. They are patient, sensitive to your needs and dedicated to your comfort. We have two options to help us serve you better. Our day and night sitting service provides significant round-the-clock care while a 24-hour live-in care service caters to those who require minimal support during the night. Whichever one you select, we are committed to providing the help that you or your loved one may need to maintain an independence lifestyle for as long as possible. There’s no need to move your spouse, parent or child out of their home. Take advantage of our respite care service to catch up on your other responsibilities while your loved one is cared for at home. You’ll have peace of mind knowing they are in safe and capable hands. We offer personalised care plans to meet your specific needs. From personal hygiene to mobility, bathing, communication and medication management, we can tailor our home care plan to provide you with as much help as you require. Our professionals have the clinical experience to meet complex care needs. 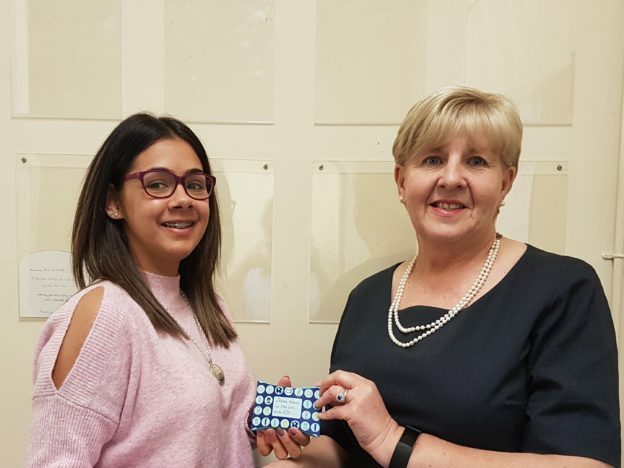 Whether you have just had surgery or returning from a long stay in hospital, our health care package can be designed to provide the specialised attention you require from the moment you come home. We can help with that too! Whether you are going alone or with family or friends, we can provide a home care support staff to assist you. You won’t have to worry about how to get around or who’s going to help you with your personal care routine. NW Care provides whatever kind of support you need to maintain an independent lifestyle. Our staff has a broad spectrum of skills, experience and qualifications as well as this they are each given in-house training at our Training Academy based in The North West Independent Hospital. Each one is thoroughly screened by Access NI to ensure the safety and well-being of our clients. We are registered with NISCC and RQIA which demonstrates our commitment to upholding the highest standards in home health care. We are also continually upgrading and adding new home services to better serve our clients. Subscribe to our Twitter feed to get the latest updates. Take advantage of our home care services to help with your daily needs. You can rely on us to meet your biggest and smallest needs with love and respect. We treat all our clients with dignity. Prefer to submit your enquiry online? Click below to fill out our simple online quick contact form. 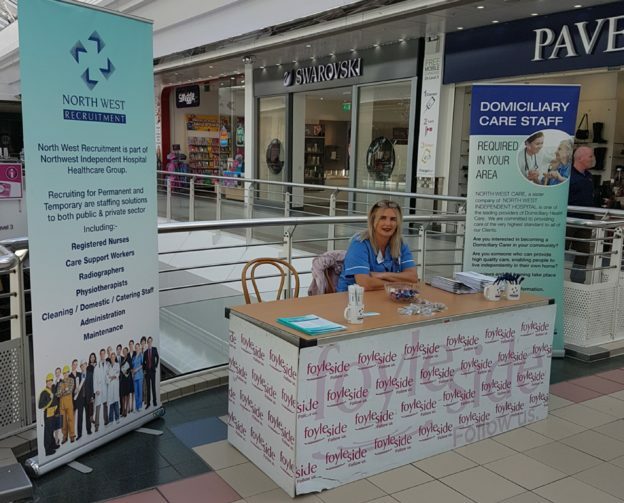 Thank you to Antoinette McCauley and the rest of the team for manning the NW Care and Recruitment promotional table in Foyleside Shopping centre on Friday 15th September. A special thanks to Sheira Moore and Antoinette McCallion for recommending more new staff to NW Care & Recruitment. NW Recruitment is a division of NW Healthcare Group based at NW Independent Hospital, Ballykelly. The group employs almost 500 people in its nursing agency, domiciliary care and hospital divisions.